The Dancing Elephant, Rockland, Maine's Yoga Studio, serves as a hub for wellness classes for all ages and levels. We are dedicated to bringing our programs to everyone, regardless of financial means. We offer progams at the studio and throughout the community. Wellness Wednesdays. The Dancing Elephant hosts free classes in partnership with the Knox Clnic on Wednesdays from 4-5p. 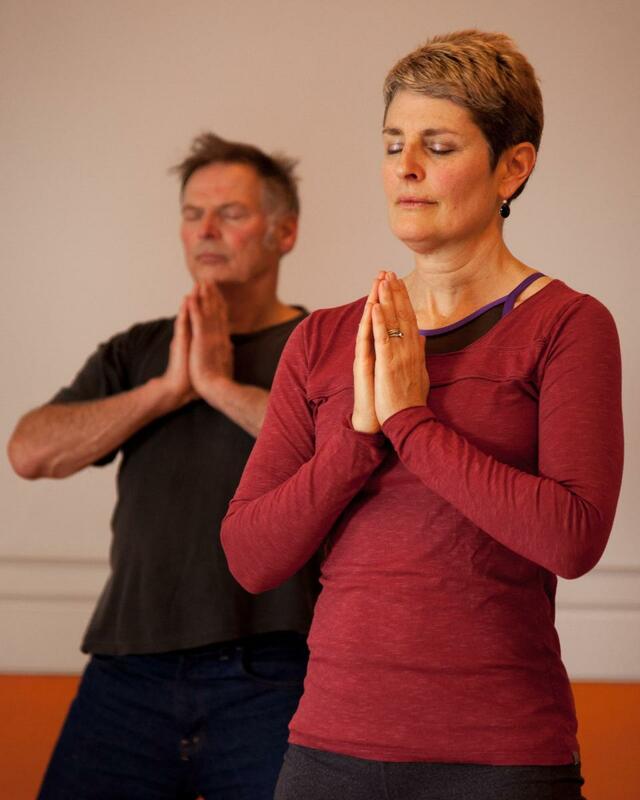 In 2015 and 2016, we offered Qigong (Tim English), Yoga Nidra (Lea Smith), Meditation (Rachel Nixon), Tai Chi (John Jenkins), Nia (Meg Barclay), Joyful Movement (Chelsea Cartwright), and LifeForce Yoga for Mood Management (Valerie Behrens). The teachers generously volunteered their time to offer these programs. Watch the schedule for upcoming classes! Yoga at the Hospitality House. In the winter of 2015, Rachel Nixon taught a seven-week series for for women residents at The Hospitality House, a nonprofit homeless shelter and resource hub in Knox County. This program was funded by a grant from the Kripalu Center for Yoga & Health. Family Yoga at the Rockland Public Library. In the summer of 2015, Rachel Nixon taught an integrated storytime, yoga and art program for six weeks, bringing together families to laugh, play, and grow! This program was funded by a grant from the Anonimo Foundation. Zenith High School Yoga. In the fall of 2015, Rachel Nixon offered a five-week yoga series with fifteen high school students, teachers and mentors. The focus was on breathing techniques, yoga postures, and relaxation to manage stress. This program was funded by a grant from the Kripalu Center for Yoga & Health. Yoga in the Park. In the summer of 2015, Rachel Nixon offered a fun and playful yoga class in the Camden Amphitheater for moms and babies! We welcome donations in support of any of these programs throughout the year.